This week, rebels in Libya finally made their way into the capitol city of Tripoli where Gadhafi was thought to be hiding. 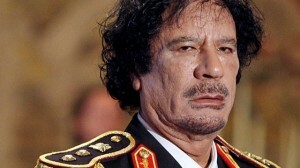 Though Gadhafi’s forces have fallen, the man himself is nowhere to be found. The rebellion that began at the height of the Arab Spring, has seen tumultuous times in recent months. The massive surge that propelled the rebels to take half the nation in a very short time, slowed down as Gadhafi exercised his significant military power. Actions taken by NATO, including bombing raids against Gadhafi military targets, helped to prevent the worst atrocities, but the rebels still had a difficult road ahead. The news of rebels entering the streets of Tripoli has spread like wildfire and excited Libyans and their supporters all over the world cheered their brave efforts. Every day, the number of Libyan officials pledging allegiance and support to the rebellion grows exponentially. Though the rebel forces near triumph at last, most vow it isn’t over until Gadhafi himself is either killed or captured. This sentiment runs strong through most of Libya, particularly after Gadhafi ruthless attempts to suppress the people of Libya after the rebellion began. Rebel fighters are concentrating their search efforts on the few cities they do not yet have under their control, as well as secret underground tunnels built beneath the city of Tripoli by Gadhafi, preparing for a day he hoped would never come, but most definitively has.